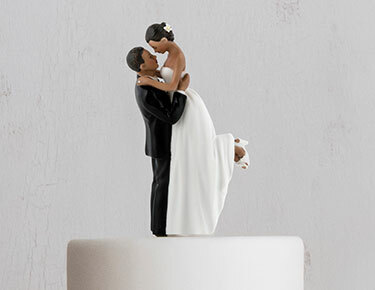 Let your wedding cake tell your love story with Weddingstar's eye-catching wedding cake toppers. 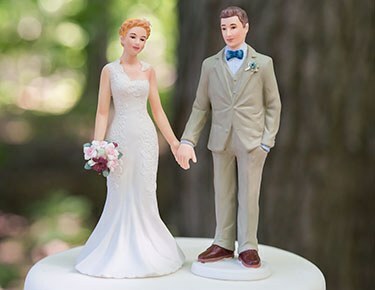 We have all the trendy toppers to suit an endless array of wedding styles, from rustic cake toppers with vintage-inspired wood veneers to comical cake toppers that celebrate the bride and groom's sense of humor. 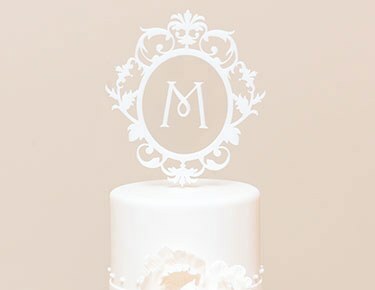 We also have styles that incorporate the whole family — including kids and pets — to ensure that your household is well-represented atop the cake. 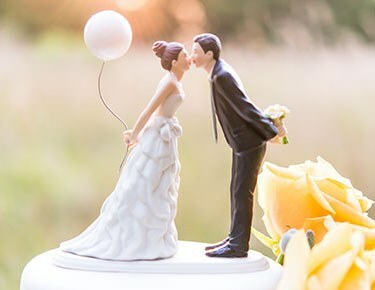 The Weddingstar team hand-curates the pieces found in our cake topper collection with unique, funny, traditional, sporty, stylish and personalized styles. 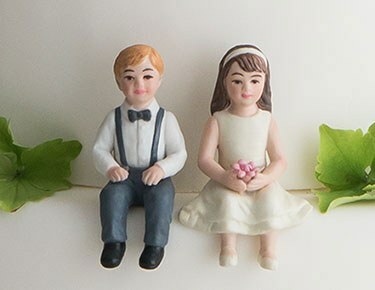 These personalized figurines are made to look just like the two of you, with a huge variety of skin and hair colors from which to choose. 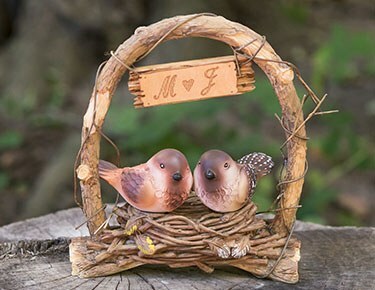 On top of that, we can personalize your topper with motifs that celebrate your personalities, with versions featuring motorcycles, bicycles, musical instruments, sports equipment and more. 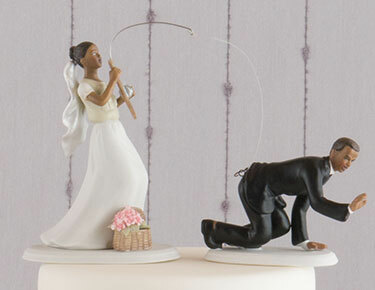 We even carry traditional Asian and Indian wedding cake toppers featuring the bride and groom decked out in customary wedding attire. 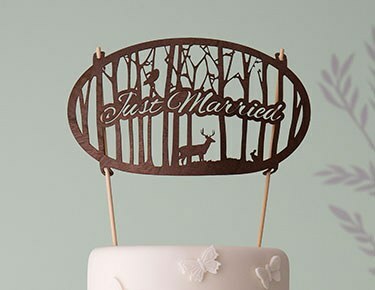 You can also customize some of our wood veneer cake toppers with personalized wording, if desired. 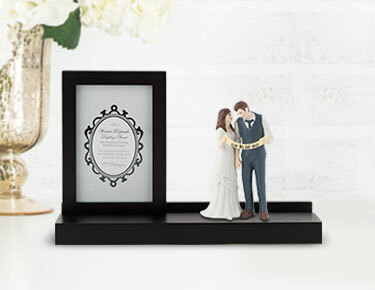 There's almost nothing that can't be tailored to your tastes with your wedding topper figurine. Customize flower color, skin tone, hair and other elements so that yours looks right at home when set in your specific wedding backdrop. 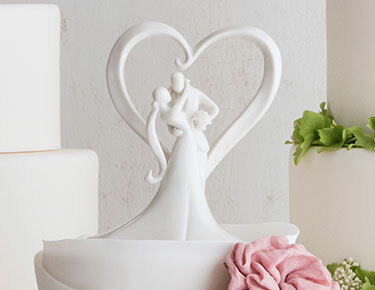 Each cake topper is designed to tell a special story, so everyone will want to raise a toast — or have a slice — to your love story! 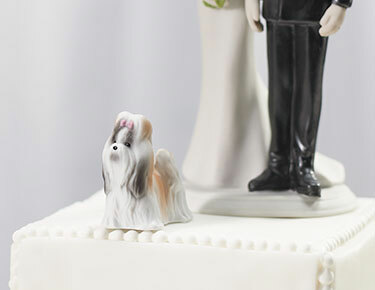 Pick wedding cake toppers with pets, Asian wedding cake toppers and even amazing 3D wedding cake toppers from Weddingstar. 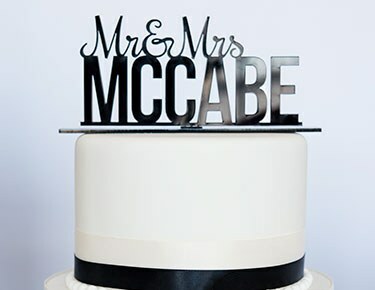 Our ultra-popular acrylic cake toppers make a big, multidimensional splash on any wedding cake, engagement party cake or bridal shower cake. 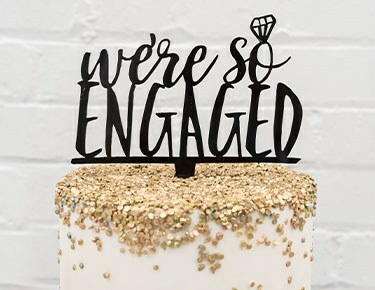 Choose eye-catching wording like "Best Day Ever," "We're Engaged" and "The Hunt is Over" for a trendy take on the classic topper. 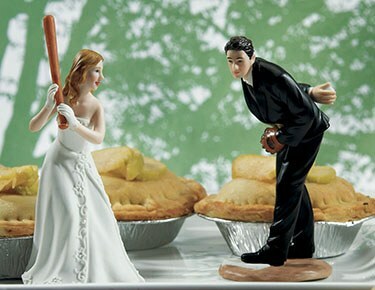 These unique, 3D displays come in an assortment of colors and sizes to suit your dessert display and wedding theme. 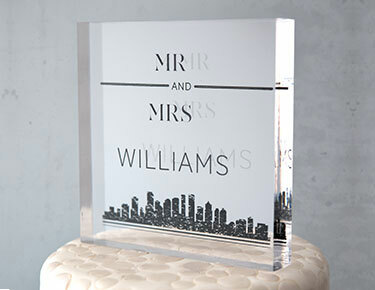 If you love the look of the acrylic topper but prefer a personalized style, make sure to explore our selection of personalized acrylic cake toppers that can be ordered with your names or wedding date.